Quick, easy creation of template-based docs. Is there a better alternative to TemplateBox? Is TemplateBox really the best app in File Management category? Will TemplateBox work good on macOS 10.13.4? 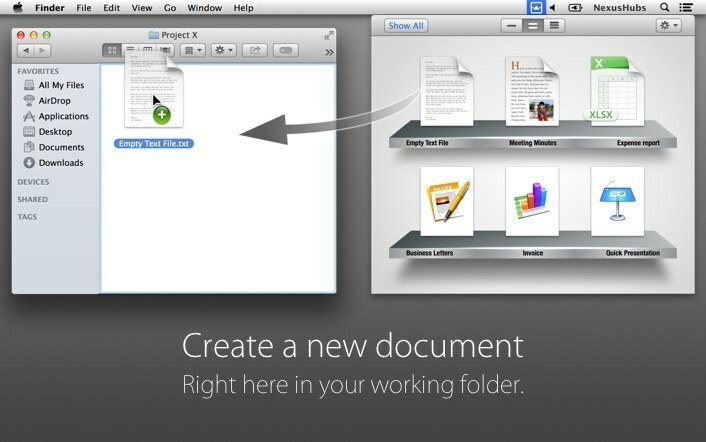 TemplateBox helps you create documents in your working folder quickly and easily. Improve your productivity by having your frequently-used templates just a click away and ready to use. TemplateBox is the solution for saving time and energy during your busy day. Note: The downloadable demo is version 1.0; the version available for purchase on the Mac App Store is version 1.0.1. TemplateBox needs a review. Be the first to review this app and get the discussion started! TemplateBox needs a rating. Be the first to rate this app and get the discussion started!